One of the last people to see Josef Jakobs alive on the fateful morning of his execution was Lt. Col. William Edward Hinchley-Cooke. 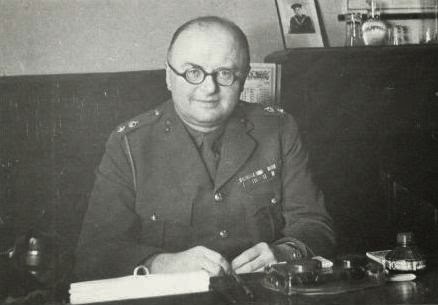 Cookie, as he was affectionately known by his MI5 colleagues, later noted that he was impressed by Josef's calm pluck on the morning of August 15. In fact, Cookie was fluent in German and was one of the few people with whom Josef could speak his native tongue. How Cookie, himself half-German, came to be Britain's master spy-catcher is an intriguing story. 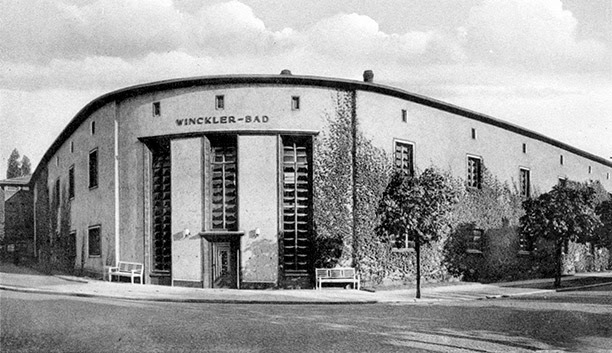 William Edward Hinchley Cooke was born to a British father and a German mother around 1894. The exact circumstances of his parentage and birth are shrouded in mystery, hidden under a veil of secrecy in the MI5 personnel files. Cookie was either born in Germany or went to Germany as a young boy, for in later years he could speak German fluently and his English was tinged with a German accent. Cookie attended school in Dresden before becoming a student at Leipzig University around 1910 where he apparently studied science. In early 1914, Cookie got a job as a clerk at the British Legation in Dresden. 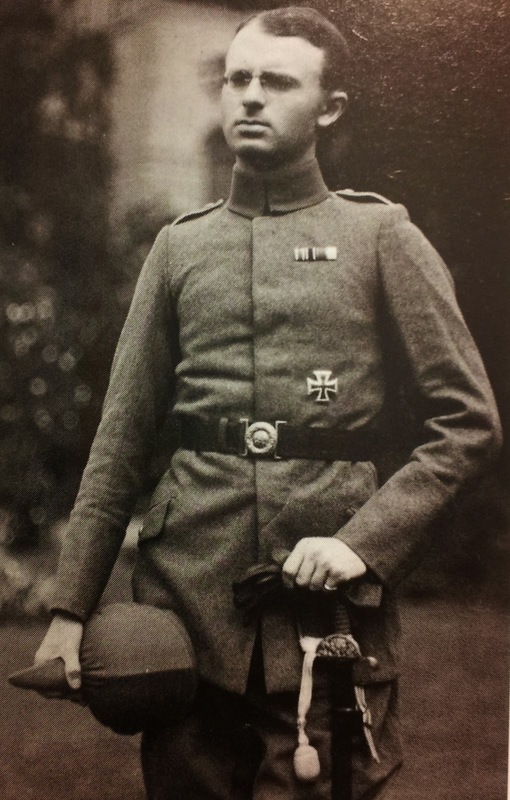 With the outbreak of World War I on July 28, 1914, Cookie and other members of the legation were expelled from Germany and sent back to Britain. joined the British Security Service (later known as MI5). Given Cookie's foreign accent, Kell made a note on his War Pass that certified "He is an Englishman". Cookie's first assignment was to serve as a liaison between the Security Service and Basil Thomson at Scotland Yard. Cookie examined the papers of suspected enemy agents, on the lookout for incriminating information. He was quite skilled at deciphering cryptic allusions in letters and had a knack for picking out letters which used secret ink. In Kell's opinion, Cookie was largely responsible for the arrest of several German spies. undercover work in POW camps. On May 8, 1915, Cookie was appointed a temporary Second Lieutenant and a few months later transferred to the British Ports. Here he questioned foreign travelers, oftentimes posing as a German, Wilhelm Eduard Koch, which threw the travelers into confusion. "A German working for the British? What has the world come to??" 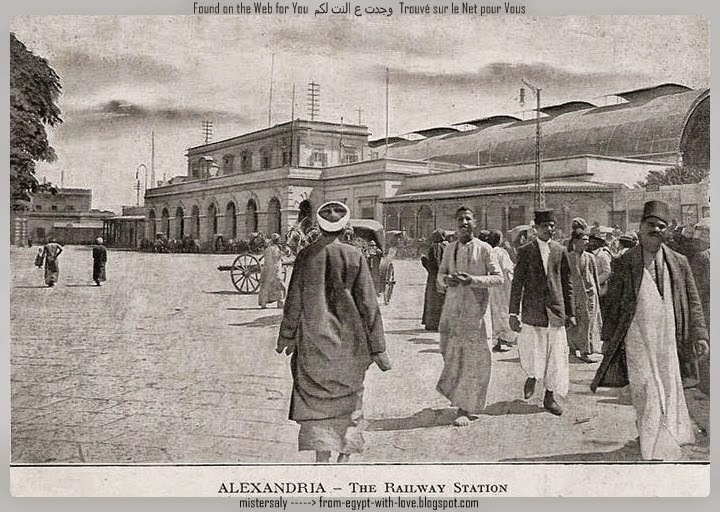 His skill in questioning and interrogation led to a number of operations over the course of the war in which he posed as a German. There is some evidence that suggests he posed as a German soldier POW and operated as a stool pigeon in POW camps. 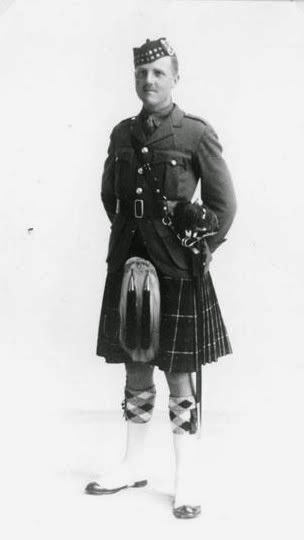 Cookie received several promotions between 1915 and 1919 and ended up as a Temporary Captain attached to no particular regiment but serving as part of a Special List. In 1919, at the tender age of 25, Cookie was appointed an Officer of the British Empire, acknowledgement of the contribution that this young man had made to the British war effort. 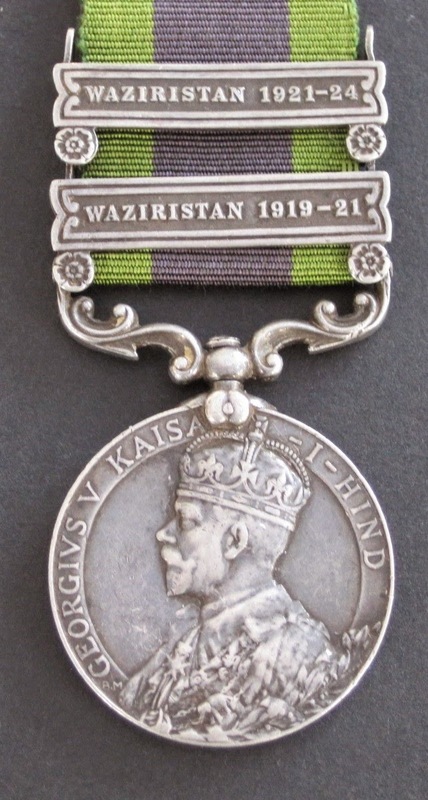 He also received three war medals: 1914-15 Star, British War Medal and the Victory Medal. 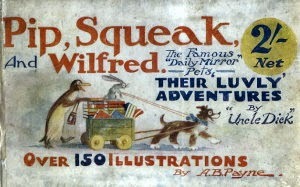 The three medals were affectionately known as Pip, Squeak and Wilfred. Apparently the issuing of the medals in the 1920s coincided with a popular comic strip in the Daily Mirror which featured a dog (Pip), a penguin (Squeak) and a rabbit (Wilfred). For some reason the three names of the characters became associated with the three campaign medals, and they stuck. 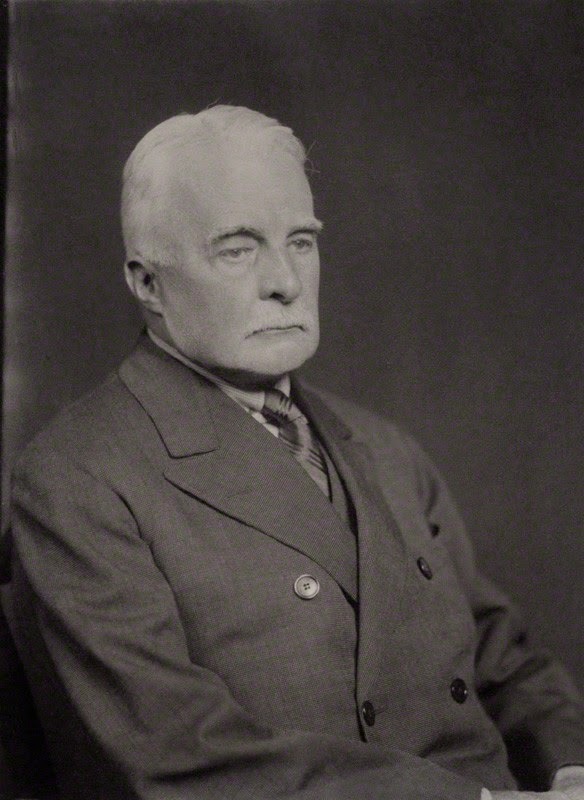 After the war, Cookie remained attached to the Security Service and, in 1920, was lent to Prime Minister Lloyd George as an interpreter for the Spa Conference. Little else is known of Cookie's professional activities during the 1920s. We do know that in the spring of 1926, Cookie married Dora Edith Booty in the district of Brentwood in Middlesex, essentially West London near Hounslow. 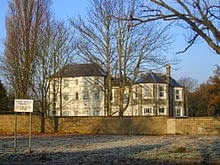 Dora was born on June 19, 1895, in Chiswick (also part of West London) to Henry Richard Booty (cabinet maker and art dealer) and Ida Maria Gentry. Dora was quite close to her cousin, Gladys Muriel Booty whose parents were Herbert Arthur Booty (brother of Dora's father) and Ann Gentry (sister of Dora's mother). During World War I, Dora's family was rocked by scandal when Gladys secretly married an Australian soldier named Dagleish Cyril Johnston in February 1919. Gladys's parents found out about the marriage and forbade her to see the young Aussie, who eventually returned to the Land Down Under alone, where, in 1925 he successfully petitioned for a divorce. After their marriage, Cookie and Dora settled down in a house at 8 The Commons in Ealing, a hop, skip and a jump from Brentwood. On February 15, 1930, Cookie was appointed a Major in the 55th Anti-Aircraft Brigade of the Royal Artillery, part of the Territorial Army. Such an appointment was largely honourary and Cookie was most likely still fully employed with MI5. That same year, Dora's parents, Henry & Ida, moved in with the young couple. During the 1930s, Cookie became the public face of the Security Service, offering evidence on behalf of MI5 at several criminal trials. In 1933, Cookie was involved in the arrest and trial of Norman Baillie Stewart, a British Army officer who sold secrets to the Germans. 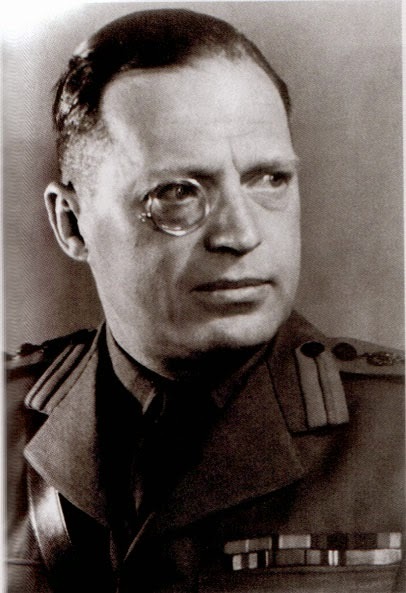 A few years later, at the end of 1934, Cookie was appointed a General Staff Officer (3rd Grade) and attached to the International Force in the Saar Territory. By the fall of 1935, Cookie was back in England and played a role in the apprehension of German spy Dr. Hermann Goertz. The following year, Cookie was involved in the cultivation and assessment of Welshman Arthur Owens as a spy. Owens approached MI5 with an offer to spy for them against the Germans. But it was also clear that Owens was also spying for the Germans. Cookie and MI5 washed their hands of Owens in November 1936 but, like a bad penny, Owens would continue to haunt them. That same year, Cookie was promoted from Major to Lieutenant Colonel. The year 1937 seems to have been a quiet one on the spy front but on the home front, the residents at 8 The Commons were grieved to bid farewell to Dora's mother Ida who passed away on December 7. Ida was apparently a wealthy woman for she left her husband and daughter the princely sum of £3000 (the equivalent of £175,000 today). While 1936 and 1937 were slow spy years, the following year made up for it. Cookie was involved in the arrest of two spies: hair-dresser Jessie Jordan from Dundee, Scotland and, a few months later, racing journalist Donald Adams. In 1938, Arthur Owens popped up again with another offer to spy for the English. Cookie treated Owens with caution, unsure as to his motives and ordered that he be kept under surveillance. It came as no surprise when, on March 28, 1939, His Majesty the King conferred the Efficiency Decoration on Hon. Col. W.E.H. Cooke. Incidentally, in 1935, Cookie received the Jubilee Medal and in 1937, the Coronation Medal - both of limited circulation and awarded at the discretion of the local government authority. Cookie was only 45 years old when World War 2 started and had already amassed quite a swath of awards, medals and decorations. More were to come. On September 1, 1939, Cookie was assigned to the War Office with the rank of Lt. Colonel. Officially, he was still attached to the Territorial Army Reserve, Royal Artillery (55th Anti-Aircraft Brigade) but the Germans could never find his name in the British Army List and thought he was actually a policeman. The Germans described Cookie thusly: "He wears glasses, is strong and has a fresh complexion. He has a friendly nature and speaks German fluently with a mixture of a Hamburg and Saxon accent". While the early months of the war were slow on the military front, Cookie was kept busy. With the declaration of war, Arthur Owens was placed in a precarious position and Hinchley-Cooke helped to turn Owens into a double-agent (SNOW to the British, JOHNNY to the Germans). Owens would prove to be a thorn in the side of the MI5 officers, requiring constant supervision and debriefing. In the fall of 1940, Cookie interrogated some of the first German agents to arrive in England, including Jose Waldberg, Carl Meier, Sjoerd Pons and Charles van den Kieboom, three of whom ended up on the gallows (Pons was acquitted). In later years, Cookie was more involved with the legal aspects of bringing German spies to trial. 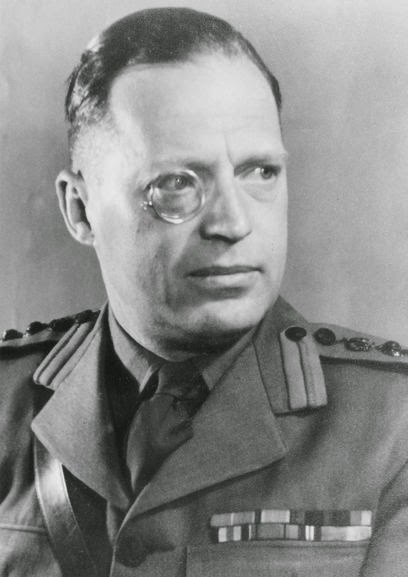 For example, in June 1941, Cookie extracted a statement taken under oath from Josef Jakobs, a statement that was the prelude to Jakobs' eventual court-martial and execution. 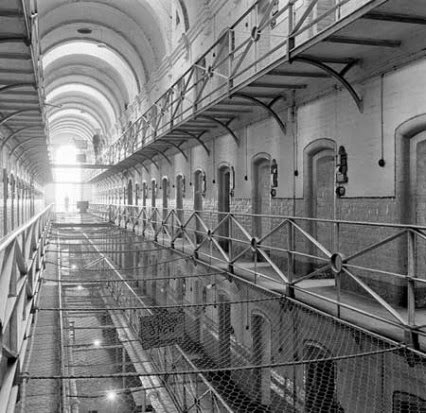 It was Cookie who met with Jakobs in Wandsworth Prison and charged him under the Treachery Act. It was Cookie who appeared at Jakobs' court martial as MI5's expert witness and general expert on all matters German. It was Cookie who was in court when William Joyce ("Lord Haw Haw") was tried for High Treason. In fact, Cookie was Britain's top military intelligence legal expert and was kept busy during the war, evaluating individual spy cases and deciding who would be charged and who would be spared. It has been said that Cookie's life could fill a dozen spy thrillers, but unfortunately little has been published on this enigmatic man. With the end of the war, Cookie was awarded another clutch of medals: 1939-45 Star, France and Germany Star, Defence Medal and War Medal. In December 1945, Cookie's father-in-law, Henry Richard Booty passed away, and the couple were again alone in their house at 8 The Common Ealing. Shortly thereafter, Cookie retired with the honourary rank of Brigadier and he and Dora moved to a seaside house on Wellington Parade, Wedhampton near the coastal village of Kingsdown, Kent. In 1946, Cookie received a commission from the Lord Lieutenant of the County of Kent to serve as a Deputy Lieutenant). The Lord Lieutenant, Colonel Wykeham Stanley Cornwallis KCVO, KBE, MC, was the monarch's representative in the County of Kent and could appointed Deputy Lieutenants to assist him in his duties. 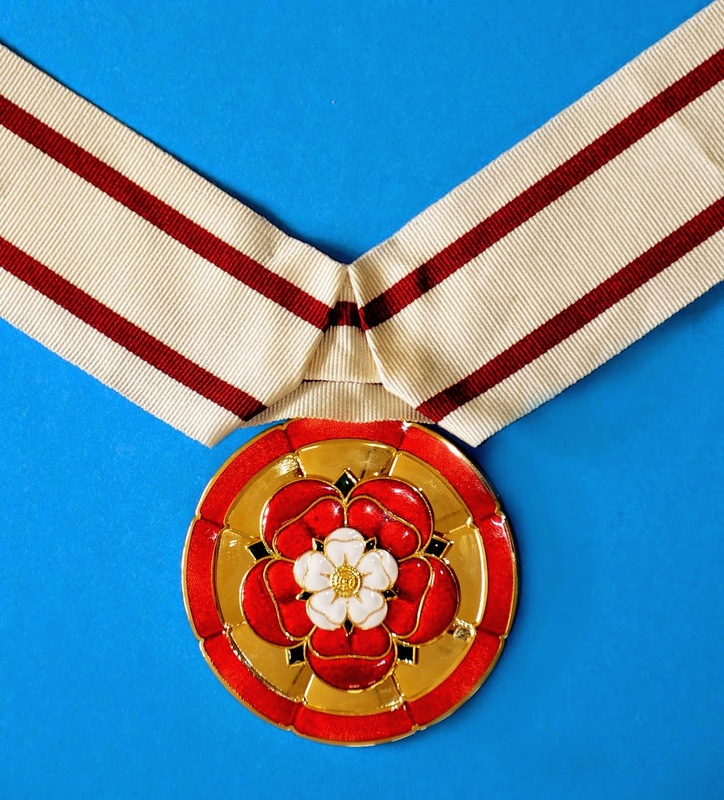 In 1953, Cookie was awarded the Coronation Medal upon the coronation of Queen Elizabeth II. Cookie was born during the closing years of the reign of Queen Victoria, a monarch who reigned for 63 years and 216 days. 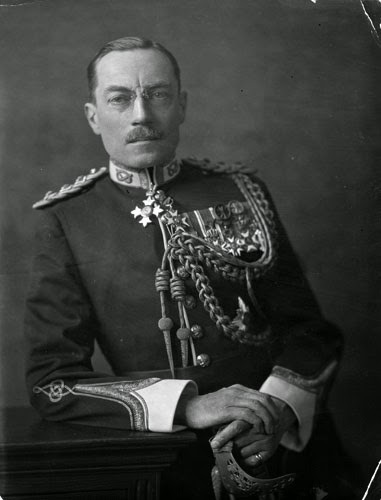 He then served under the rule of four male monarchs (Edward VII, George V, Edward VIII, George VI). It was fitting then that he should serve under another female monarch, one who would challenge Queen Victoria's record for length of reign. Cookie would not see much of his new monarch however, for on March 3, 1955, he collapsed in the street outside his house, a victim of a massive heart attack. He was only 61 years old. Cookie left his wife and cousin-in-law, Gladys Muriel (Booty) Johnston, the grand sum of £692 3s 6d (worth about £15,000 today). His wife passed away in 1970 and, since Cookie and Dora were childless, it seems possible that Gladys inherited Dora's estate. In 1972, Cookie's medals were put up for auction by Spink & Son, possibly on behalf of Gladys. 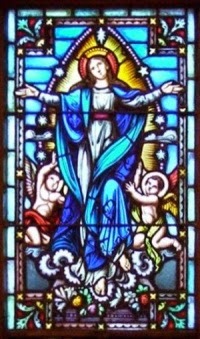 She herself passed away in 1974, her next of kin being a cousin. In 2006, Cookie's medals resurfaced and were put up for auction again by Dix Noonan Webb auctioneers. They were snapped up by the Imperial War Museum where they are now preserved for posterity. Few photographs survive of William Edward Hinchley Cooke. He was a private man and his legacy lies solely in the MI5 files, many of which remain classified. Perhaps some day the true story of this British hero will be told. Ancestry.co.uk - Genealogy records (births, marriages, deaths, census, electoral registers, probate). Andrew, Christopher - 2010 - Defence of the Realm, Penguin. British Army List - various years that mention W.E.H. Cooke. Imperial War Museum - brief bio of W.E.H. 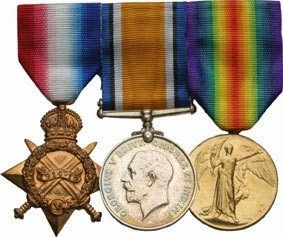 Cooke to accompany his medals. The London Gazette - various issues that mention W.E.H. Cooke. The Sydney Morning Herald Newspaper - Intelligence Expert Dies in U.K. - March 5, 1955. The West Australian Newspaper - Divorce Court - September 22, 1925. West, Nigel - 2005 - Guy Liddell Diaries, Vol. I - 1939-1942, Routledge. West, Nigel - 2005 - The A to Z of British Intelligence, Scarecrow Press Inc, Lanham, Maryland. West, Nigel - 2005 - Historical Dictionary of British Intelligence, Scarecrow Press Inc, Lanham, Maryland. After the previous post on Colonel R.W.G. Stephens was published, a magazine I had ordered online almost a month previous finally came in the mail. It had a four page article on Robin Stephens written by Chris Bilham. The article was quite extensive and stitched together the scanty facts of Robin's life into a relatively cohesive whole. The author provided context to the various events in Robin's life such as the background to the Third Afghan War and the history of Camp 020. 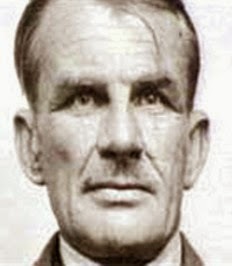 The article made a passing reference to Josef Jakobs: "[of the 16 spies executed during WWII] one was a serving member of the German Army and was executed by firing squad in the Tower of London". I had hoped that the article might fill in some of the gaps in Robin's life. In some areas it did, in others, the holes remained. A few interesting tidbits came to light in the article. The author stated that Robin divorced his first wife, Phyllis Gwendoline Stephens because of her adultery. Robin's marriage to his second wife, Joan Dowling, was mentioned but no date was provided for the auspicious event. The article provided a bit more information on Robin's adventures after World War 2, and his service as Security Liaison Officer in West Africa. The enduring mystery as to when and where Robin passed away, however, remains a mystery, as does the identity of Robin's mother. The article also noted that Robin was awarded an OBE (Officer of the British Empire), an achievement that was apparently not published in the London Gazette. 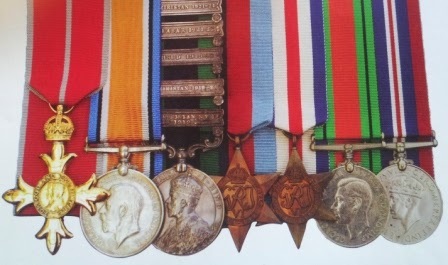 An image of Robin's medals was provided which was a very helpful piece of information. Previously, one could attempt to decipher Robin's awards from the above black and white photo on which his medal ribbons were displayed. Interestingly, Robin seemed to be wearing an extra medal ribbon on his uniform, the lower right ribbon.The only medal that appears to match the washed-out colours of the ribbon seems to be the Atlantic Star, but that was only awarded to Air Crews and seems unlikely for Robin. Another mystery, albeit a small one. 4.5 out of 5 - The article was very well written and researched and included some helpful information on Robin Stephens. 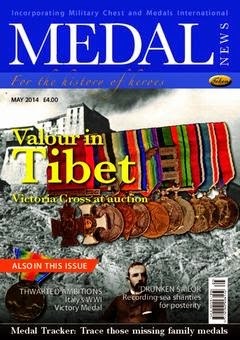 Two Gurkha Officers, Part II - Chris Bilham - Medal News, Vol 52, No. 5, May 2014, p. 28-31. In this half hour show, BBC's resident gumshoe, Steve Punt, looks into the mystery surrounding a woman's body found in an old hollow tree in Hagley Wood in the spring of 1943. The mystery has engendered a lot of speculation over the years and not a few conspiracy theories. 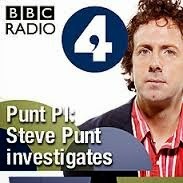 Punt takes a look at the various theories and by interviewing witnesses (a 101 year old forensic scientist) and descendents of witnesses manages to dispel some of the more popular theories. Was it witchcraft, espionage or a prostitute who was in the wrong place at the wrong time? The show was quite enjoyable and apparently well-researched.